takes the next logical step and turns his attention to the earth's supply of potential replacement fuels. In "Beyond Oil," he traces out their likely production futures, with special reference to that of oil, utilizing the same analytic tools developed by his former colleague, the pioneering petroleum-supply authority M. King Hubbert. " The bad news in this book is made bearable by the author's witty, conversational writing style. If my college econ textbooks had been written this way, I might have learned economics." -- Rupert Cutler, "The Roanoke Times"
Kenneth S. Deffeyes is Professor of Geology Emeritus at Princeton University. 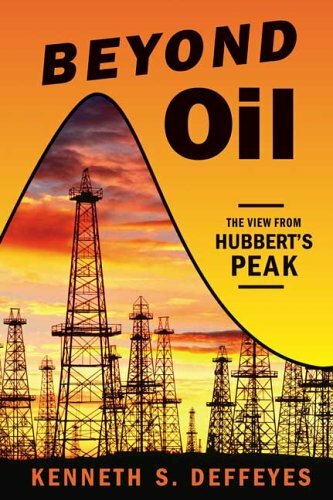 He is the author of Hubbert's Peak and Beyond Oil.